(Kitiganik and Montreal, May 4th 2017) On Thursday, May 4th, at 8:30am, a noisy flash-mob gathered in front of Copper One's offices at 2000, McGill College Avenue, to protest the company's attempts to advance a mining claim on the territory of the Algonquins of Barriere Lake, without consultation or consent. The company's claim covers a large area of the La Vérendrye wildlife reserve and a neighbouring area including the headwaters of the Ottawa River. In spite of a government decision to suspend the company's mining claims earlier in 2017, Copper One has repeatedly stated its intention to begin exploratory drilling on the territory of the Algonquins of Barriere Lake, and has a court date tomorrow, on Friday May 5th, as part of their most recent attempt to advance their mining exploration. The Algonquins of Barriere Lake have consistently refused mining exploration on the territory claimed by Copper One. This traditional and current-use territory of the community has been subject to agreements between the community and the governments of Quebec and Canada concerning the joint management of renewable resources, namely the Trilateral Agreement of 1991 and the Bilateral aggreement of 1998. The community has accepted some forms of development on this territory, but has repeatedly stated that mining is not acceptable. 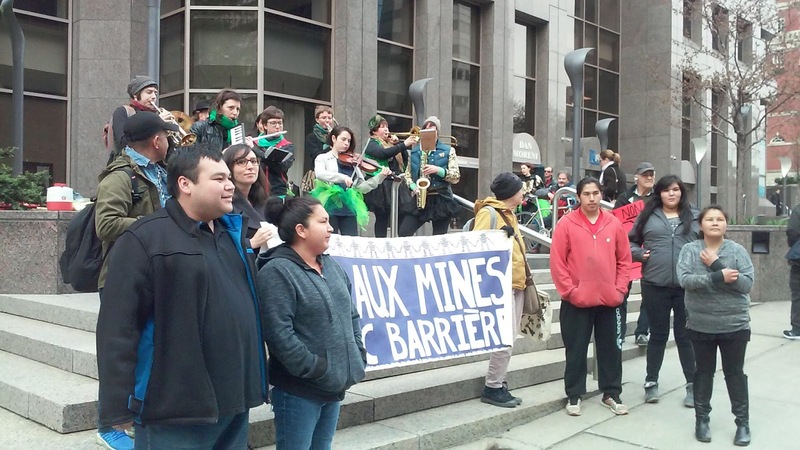 The community objects to the Quebec's Mining Act’s failure to require consultation with indigenous nations. The Mining Act also fails to allow integrated land use planning in respect of indigenous peoples’ rights and aspirations, including the possibility of saying "no" to mining claims located in culturally or ecologically sensitive areas. At a recent press conference, Professors Jean-Paul Lacasse and Sophie Thériault of the Faculty of Law of University of Ottawa were categorical : the current Mines Act would not pass a constitutional legal test, if it were to be challenged by an Aborigoinal nations in Quebec. On February 1, 2017, the Assembly of First Nations of Quebec and Labrador adopted a unanimous resolution condemning the Mining Act of Quebec as being "unconstitutional" in regard to indigenous rights. "We face, even today, mining claims and mining projects for which we were never informed, consulted and never gave our consent," denounced the Chief Casey Ratt of the Algonquins of Barriere Lake First Nation. Come out and support an Algonquin struggle for land, water and wildlife! 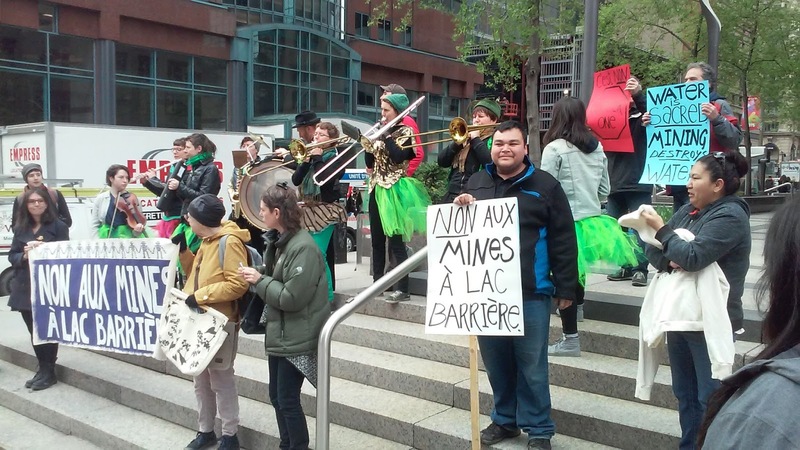 In recent months, the Algonquins of Barriere Lake pushed back against Copper One's attempt to develop an eventual open-pit mine in the heart of their territory. The community accepts some forms of responsible development on their territory, but has decided that mining is unacceptable. Copper One is now attempting to advance their faltering mining claim through judicial proceedings. The day before their first court date, join us to send them a clear message: respect indigenous rights! No means no! A community spokesperson will be present, accompanied by supporters including the Chaotic Insurrection Ensemble. Please come out and show your support!